The University of Texas at Austin's longtime architecture dean announced he was leaving on Thursday, saying the state's new campus carry law played a major role in pushing him out. Editor's note: This story has been updated with a statement from the group Students for Concealed Carry. 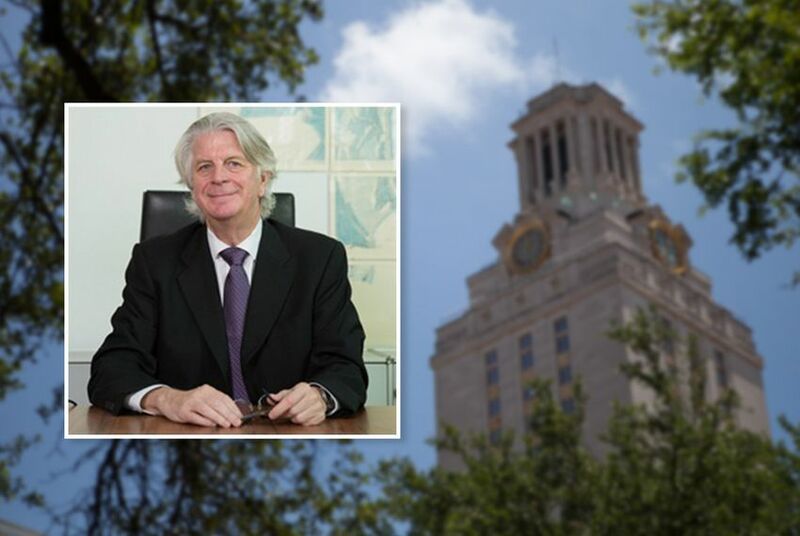 The University of Texas at Austin's longtime architecture dean announced on Thursday he is leaving, saying the state's new campus carry law played a major role in pushing him out. Fritz Steiner will take over as dean of University of Pennsylvania School of Design on July 1. The job offers an opportunity to join the Ivy League and return to the school where he earned three postgraduate degrees. But Steiner said he has turned down similar opportunities in the past, and probably would have done the same if people weren't going to be allowed to carry guns in classrooms and other places on the UT-Austin campus next school year. "I would have never applied for another job if not for campus carry," he said in an interview. "I felt that I was going to be responsible for managing a law I didn't believe in." The departure is a blow for UT-Austin. Its architecture school has consistently ranked among the best in the nation under Steiner. This year, Architectural Record ranked its undergraduate program seventh. "Fritz is a planner and urban designer whose work has benefited his fellow faculty members and students, and I know they will miss him," said university President Greg Fenves in an email to the campus community. Fenves, whose email didn't mention campus carry, said a search for his replacement will begin immediately. Supporters of the campus carry law quickly criticized Steiner. The group Students for Concealed Carry acknowledged in a statement that worries about guns on campus are taking "a real, measurable toll on the state's institutions of higher education." But people spreading unreasonable fears about the law are at fault, not the law itself, the group said. "Just as witches were not to blame for the Salem witch trials, and just as vaccines are not to blame for the negative results of the anti-vaccine movement, campus carry is not to blame for the current atmosphere of fear on Texas college campuses," the group said. Campus carry became law last year, but doesn't go into effect until Aug. 1. It will allow people with concealed handgun licenses to carry their guns into campus buildings. Each university is allowed to create some limited "gun-free zones," but state officials have said those zones can't include classrooms. Steiner said the law has come up in every faculty meeting and student meeting that he has attended since it passed. He said the majority of his students and faculty opposed it, but he felt powerless to do anything to assuage their fears. He said Penn approached him during the fall semester. Last time there was an opening, he declined to apply. This time, he was open to the idea, he said. "Penn is a great institution and I am very happy to go to Penn, but I was approached ... and, if it wouldn't have been for campus carry, I wouldn't have considered it," he said.